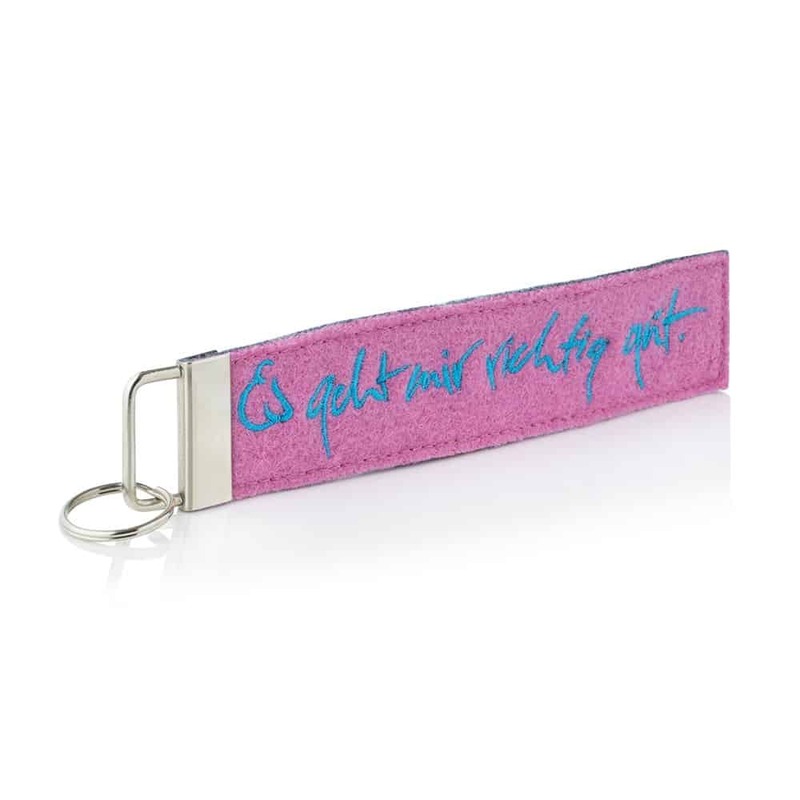 The Sonnhof maxim “Es geht mir richtig gut” travels with you everywhere as a key ring! Also great as a bag accessory. Sewn and embroidered in Tyrol. Only with german maxim available.